From left are Dr. Janet Zurovchak, Dr. Janet Dunn and Dr. Michael Cray. 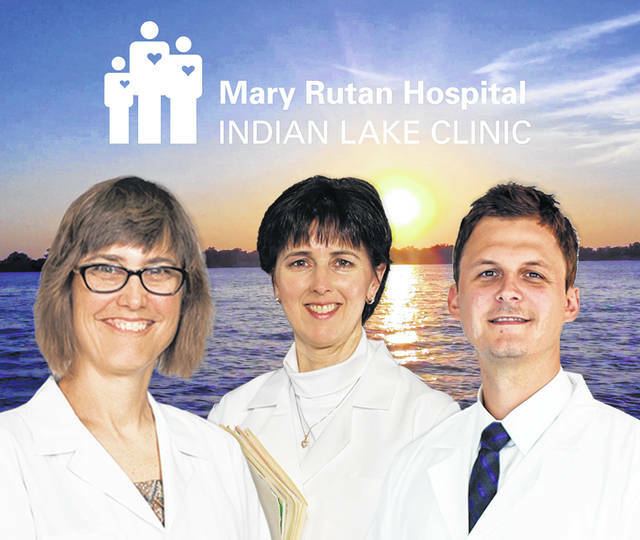 Mary Rutan Hospital will soon open the Mary Rutan Hospital Indian Lake Clinic, a newly remodeled facility to serve Indian Lake residents with specialty healthcare services. The new clinic, located on the second floor of the Aries Wellness Center, will provide pediatrics, obstetrics and gynecology, general surgery, and laboratory services. Opening is slated for April 3. Dr. Janet Zurovchak (Gynecology), Dr. Michael Cray (General Surgery) and Dr. Janet Dunn (Pediatrics) were handpicked to staff the clinic not only because of their clinical expertise, but because of their passion for delivering high-quality, compassionate healthcare to the community. The Mary Rutan Hospital Indian Lake Clinic, located at 8200 state Route 366 in Russells Point, will be open 7:30 a.m. to 4:30 p.m. weekdays and appointments can be made by calling 937-292-5063. Mary Rutan Hospital is dedicated to providing progressive quality healthcare with a personal touch. For more information on Mary Rutan Hospital and its services, visit maryrutanhospital.org.